A Permian sandstone from the Locharbriggs Quarry in Dumfries, Scotland, UK, one of the oldest and largest sandstone quarries in Scotland. This specimen is a sandstone. 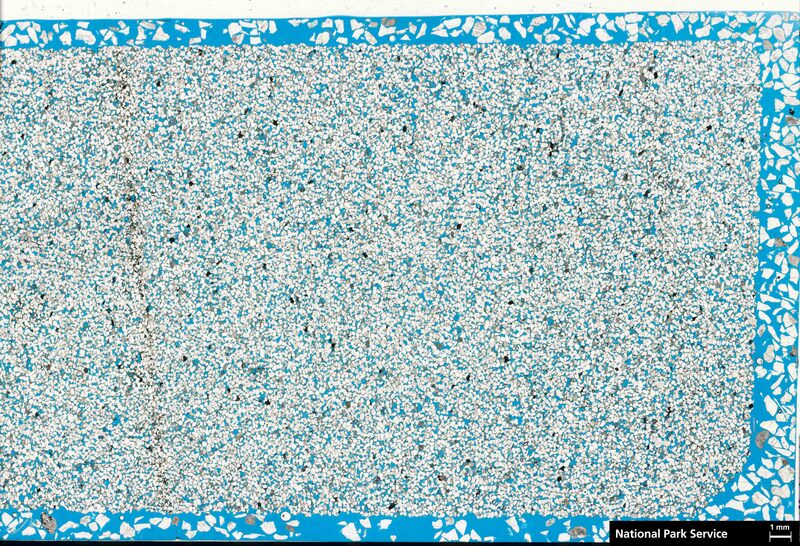 Detrital grains constitute about 75 percent of slide area, void space is approximately 20 percent, and the remaining area is occupied by fine grained matrix. 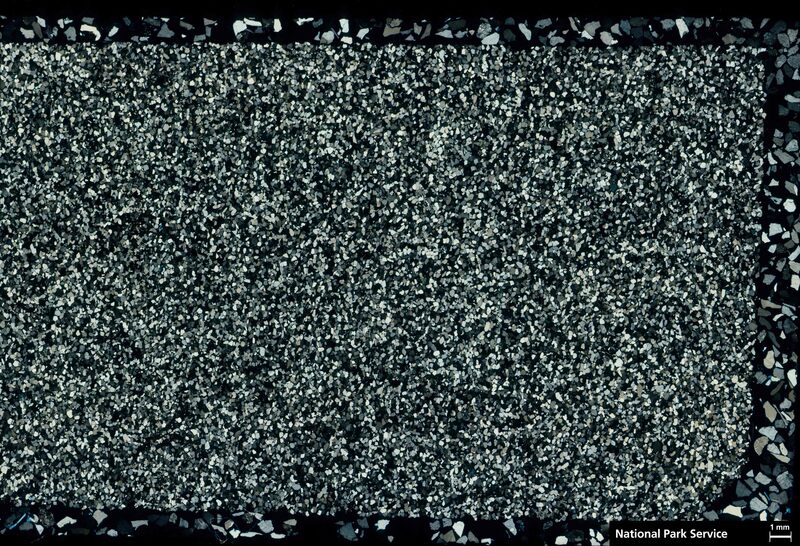 Most of the void space is likely the result of recent weathering or even slide preparation, formally filled by matrix. Most grains are rounded to subrounded. Of the detrital grains, quartz comprises about 95 percent of grains. Feldspars and opaque grains constitute the remaining portion. 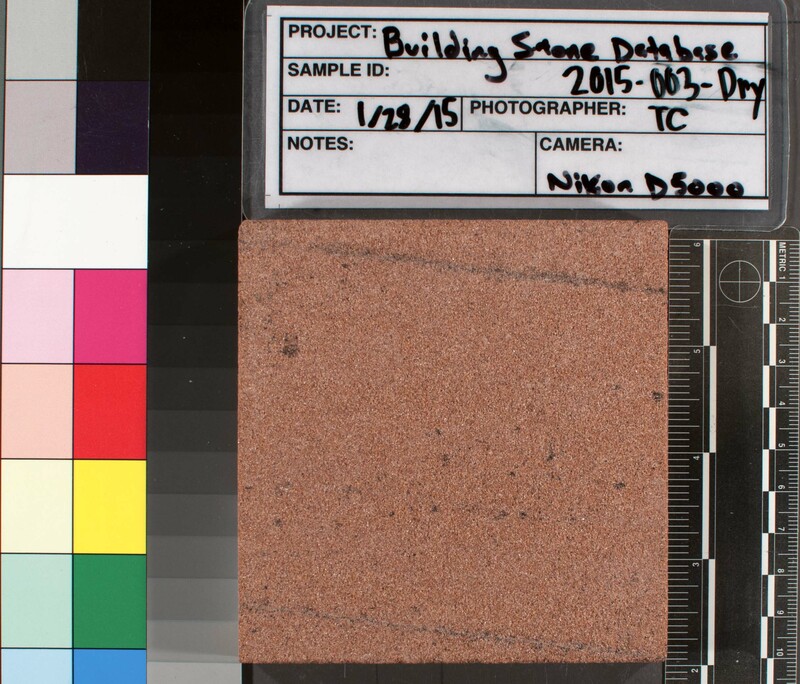 Based on these estimates this sandstone is classified as a quartzwacke. The constituent grains are moderately sorted. These observations suggest the parent material of detrital grains was mineralogically mature. Textural maturity is more difficult to estimate since the fine grained component is mostly lacking, but the volume of this space and the presence of sub-rounded grains suggests submaturity. Maximum grain size is .4 mm and minimum is .04 mm. The modal size is around .3 mm. What little matrix cement that remains appears to be predominantly composed of gypsum intermixed with iron oxides/hydroxides. This cementing medium, when better preserved, is what imparts the red color to the stone. There is a thin band of better preserved cementing medium with a relatively high iron mineral content about .6 mm wide. 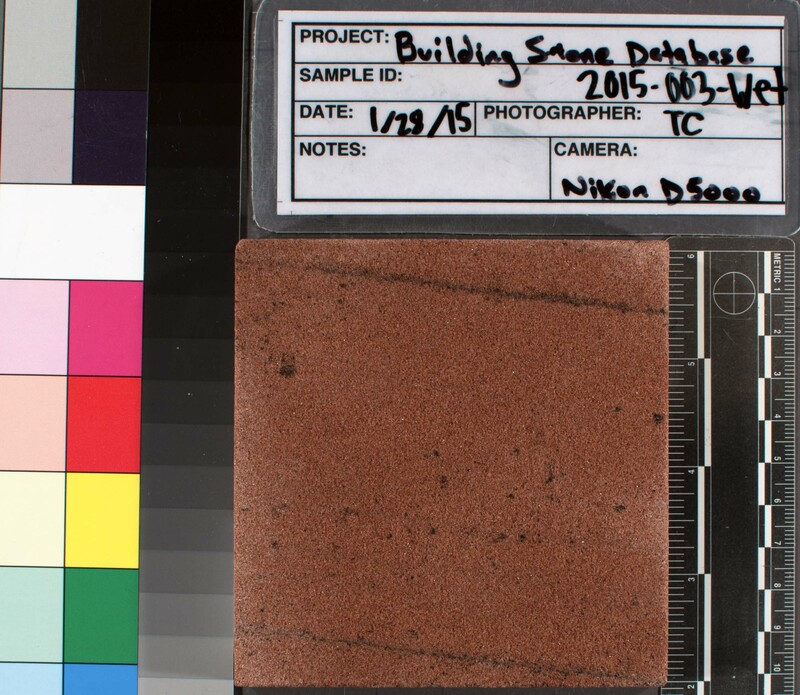 These likely correspond to deeper red streaks seen in hand samples.